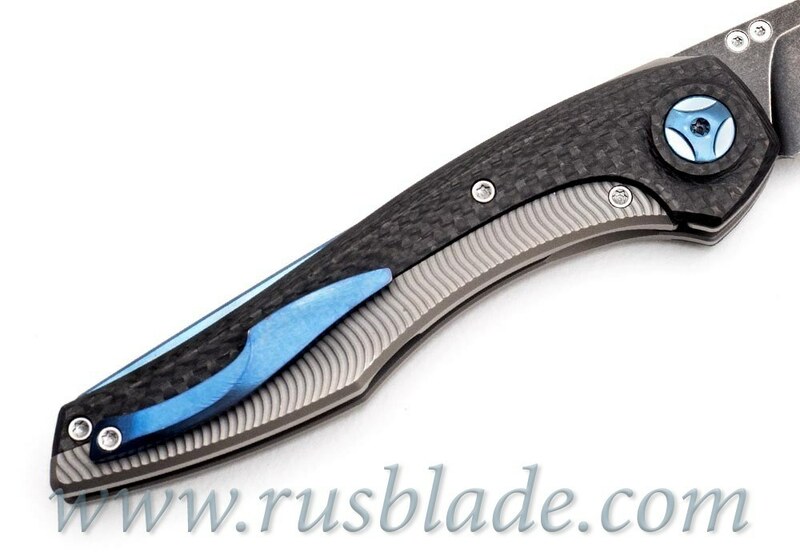 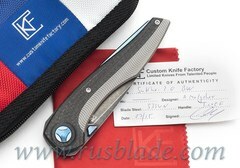 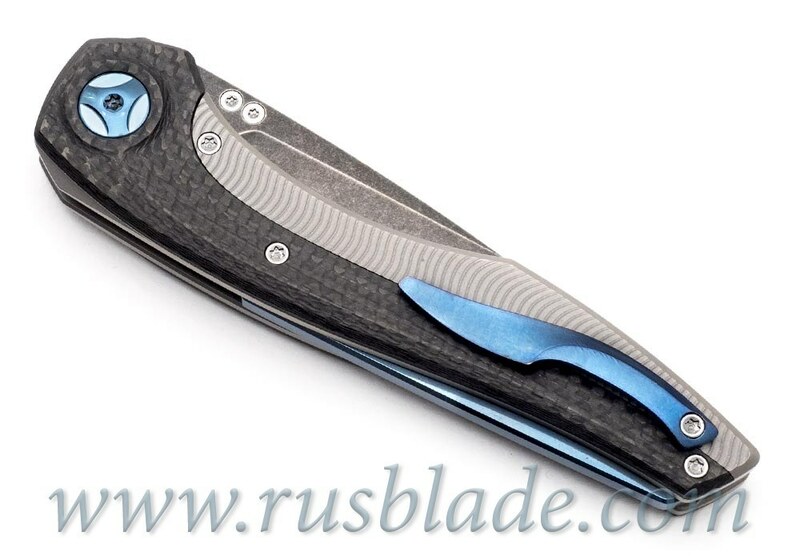 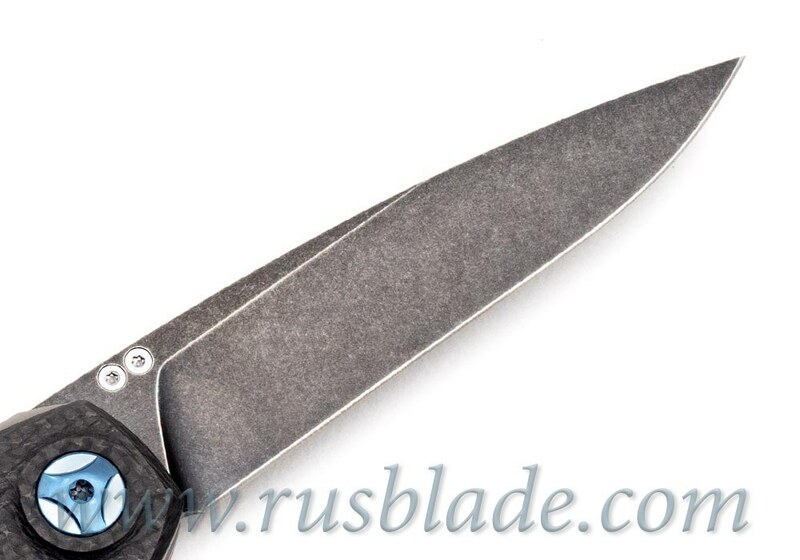 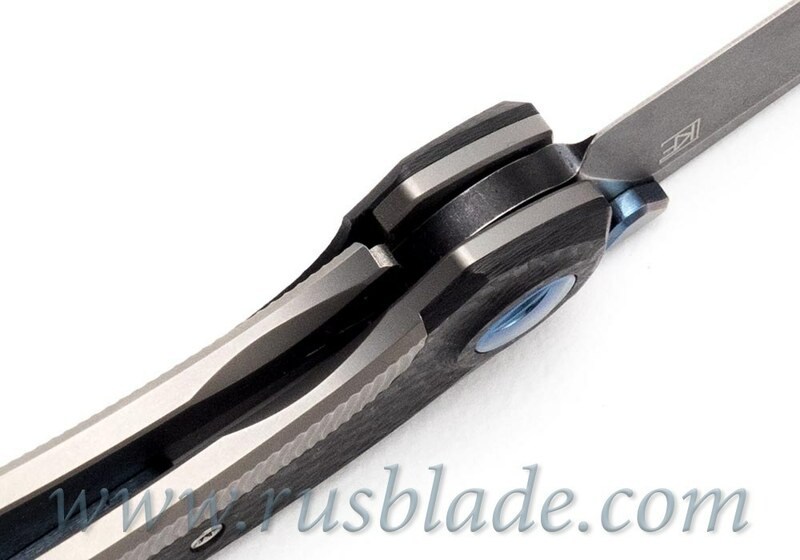 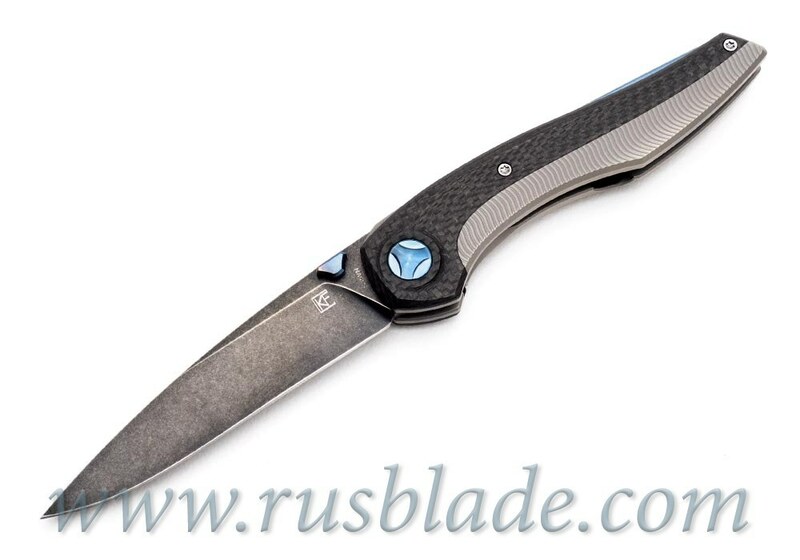 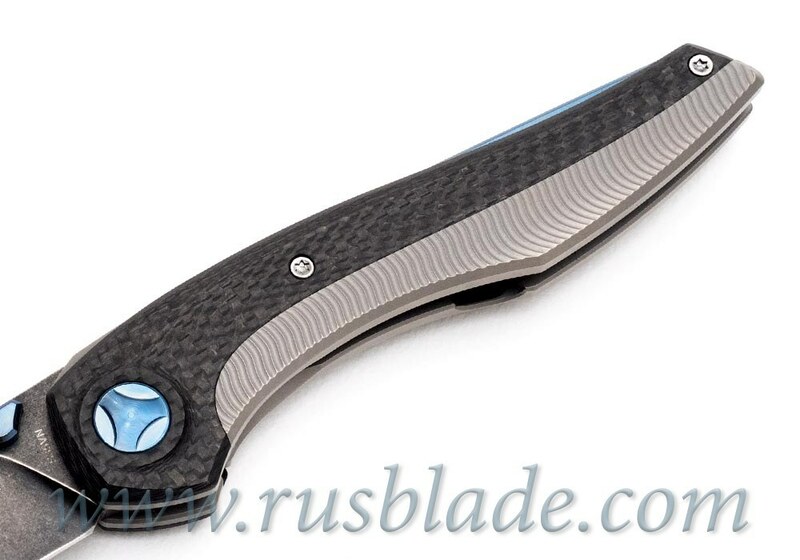 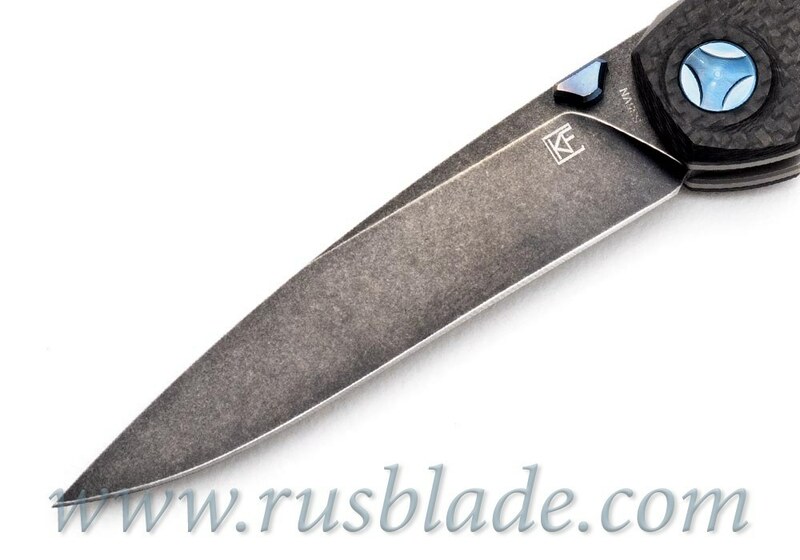 This is beautiful "Sukhoi 2.0" black stonewash of Custom Knife Factory, Russia folding knife, CPM-S35VN blade satin finish and titanium/carbon fiber handle with blue anodization, sharp, smooth and easy opening (2RBS bearings). 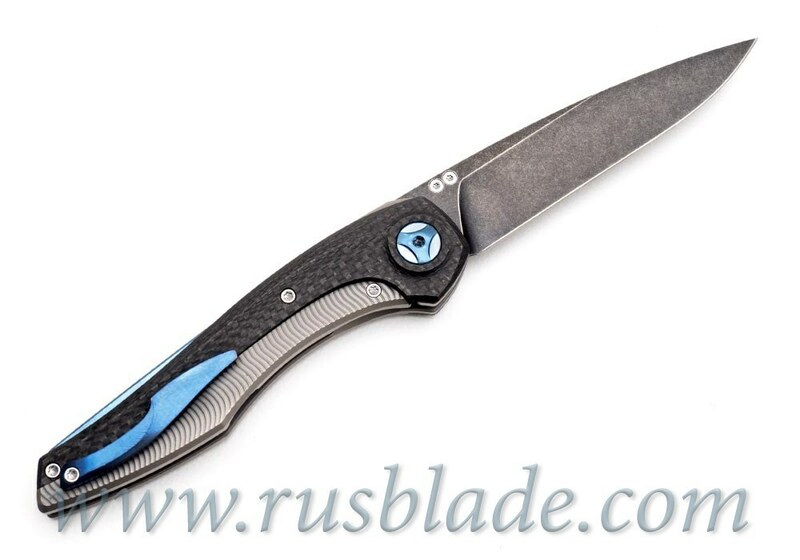 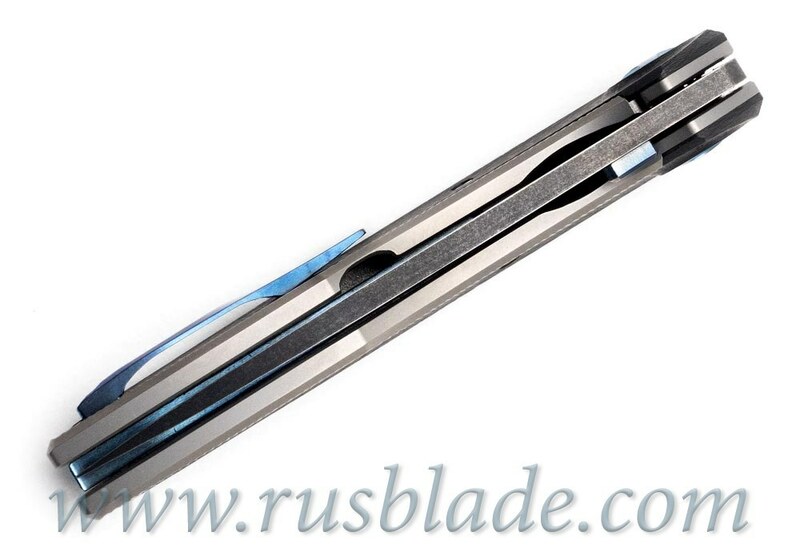 It's compact design like Shirogorov Flipper 95 has, frame-lock. Become an owner!